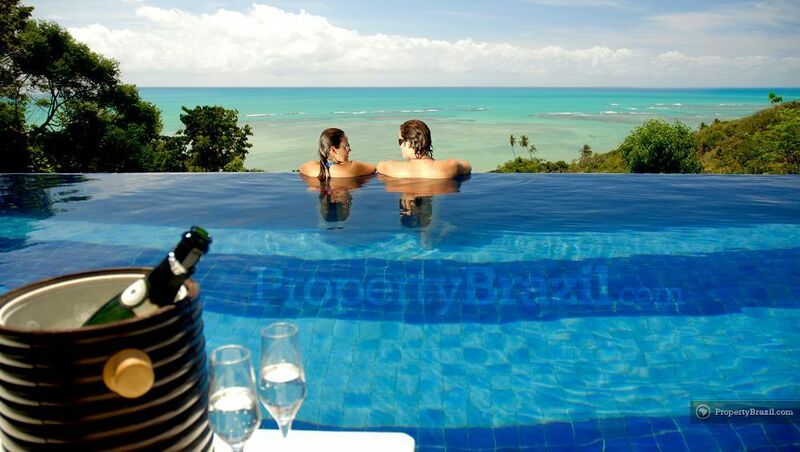 Sometimes nicknamed as “water paradise”, Alagoas is a tropical paradise located in the northeast of Brazil. 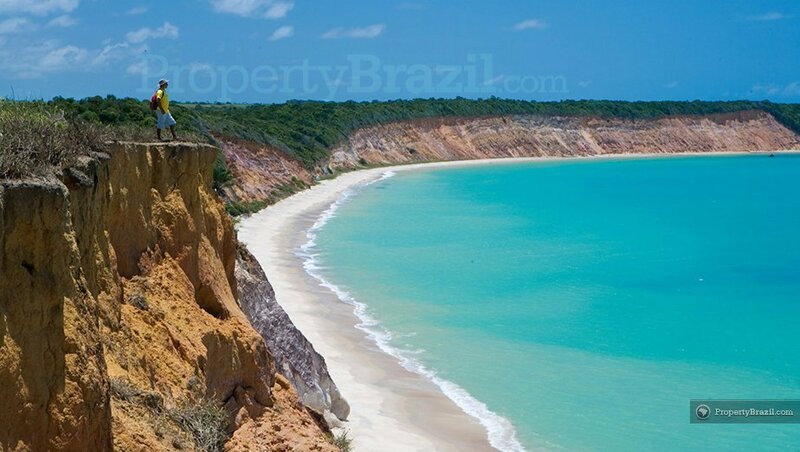 Some parts of the stunning 230 km coastline in Alagoas is sheltered by the biggest reef barrier in Brazil, giving the sea an intense turquoise color and impressive sheltered beaches. In some areas of the coastline one can walk 1 kilometer offshore with water still reaching only knee level. 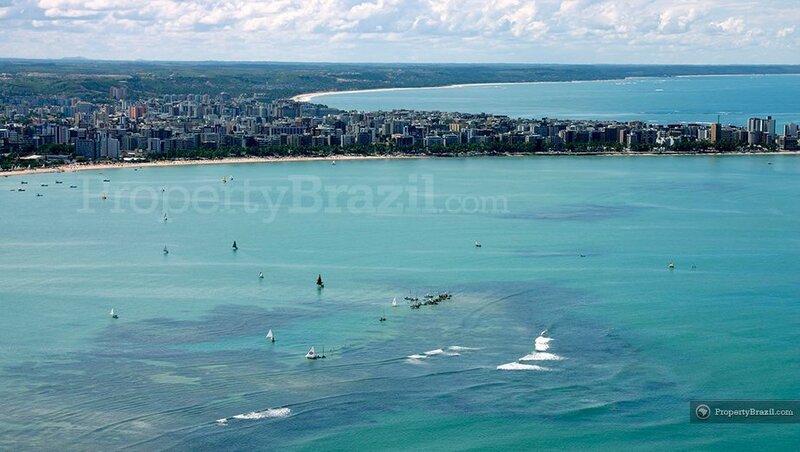 State capital Maceió is a modern city and is famous for having a magnificent beachfront with impressive natural pools. With a population of approx. 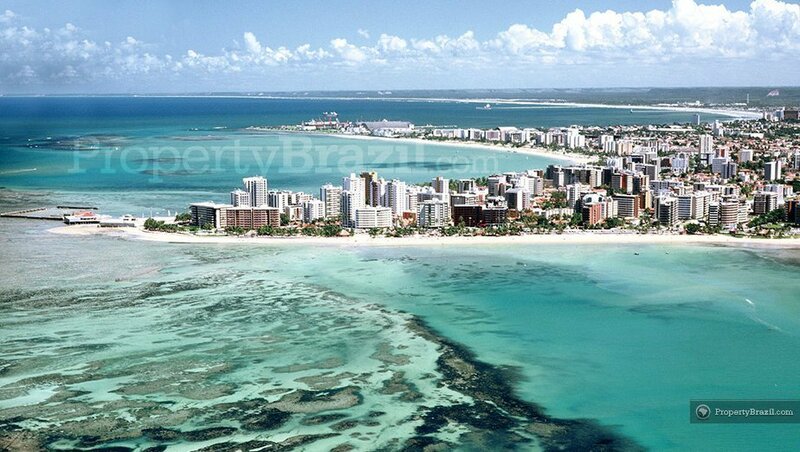 900 000, Maceió is a well-developed city and is famous for having some of the most beautiful urban beaches in the Brazil. The city has a good infrastructure and tourist services such as hospitals, restaurants, bars and shopping centers and offers excellent diversity and quality in its gastronomy. 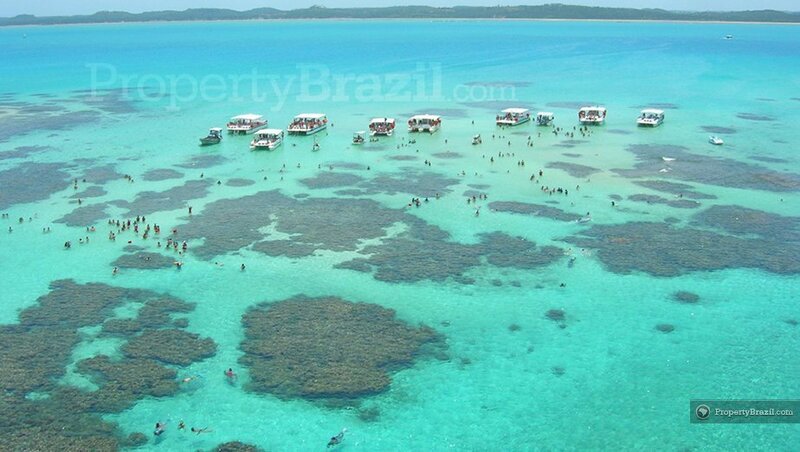 Famous beaches include Ponta Verde, Jatiúca and the Pajuçara beach lined with “jangadas” that take tourists to swim in the gorgeous natural pools just offshore. 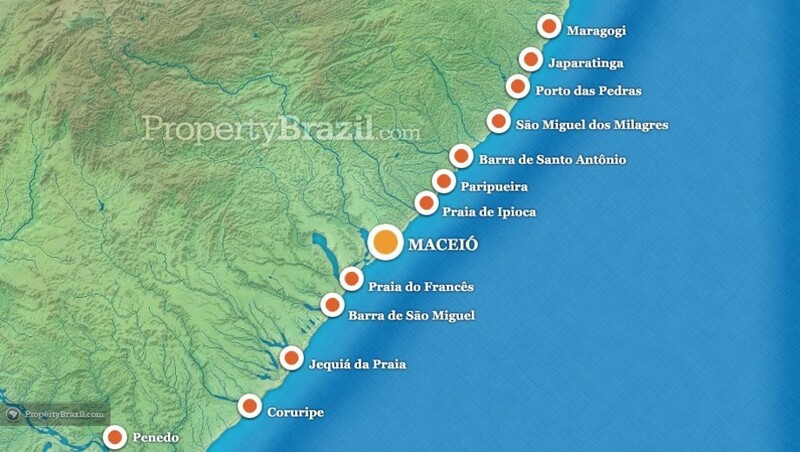 Please view the Maceió Travel Guide for more info about the town. 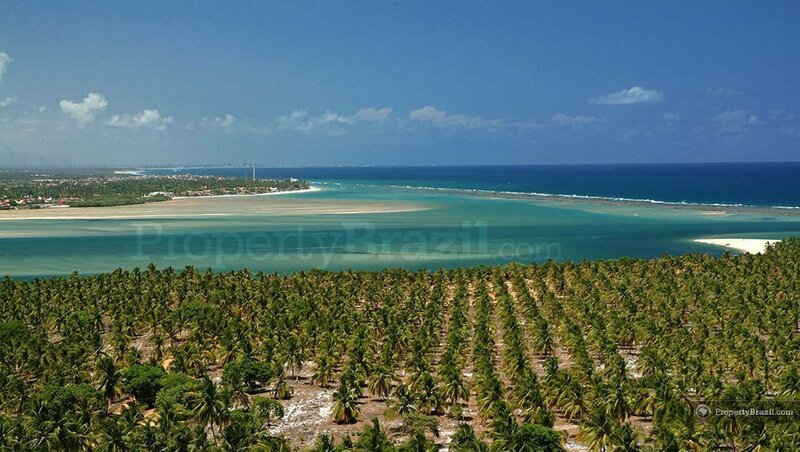 After the state capital, Maragogí is the most visited destination in Alagoas. 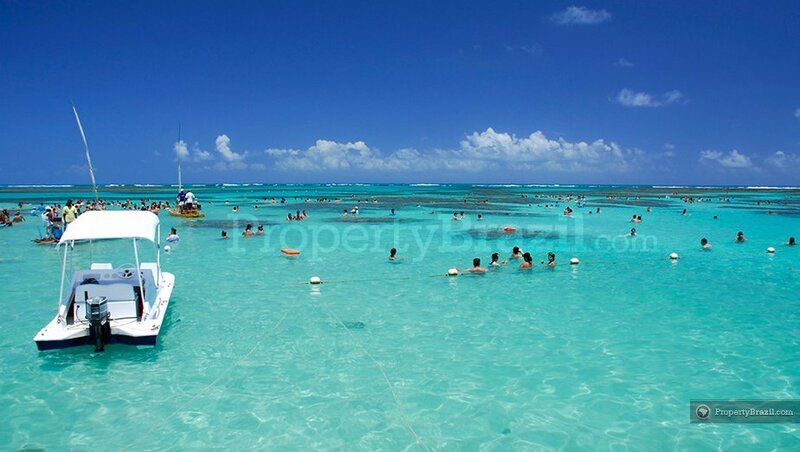 The main attractions here are the “galés” (offshore coral reefs) where beautiful natural pools are formed with crystal clear waters. 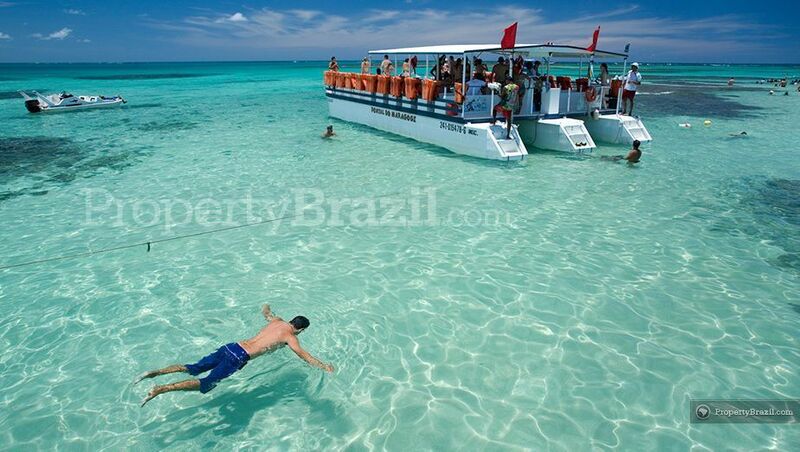 Tourists come here to swim, snorkel and marvel in the year round tropical waters. 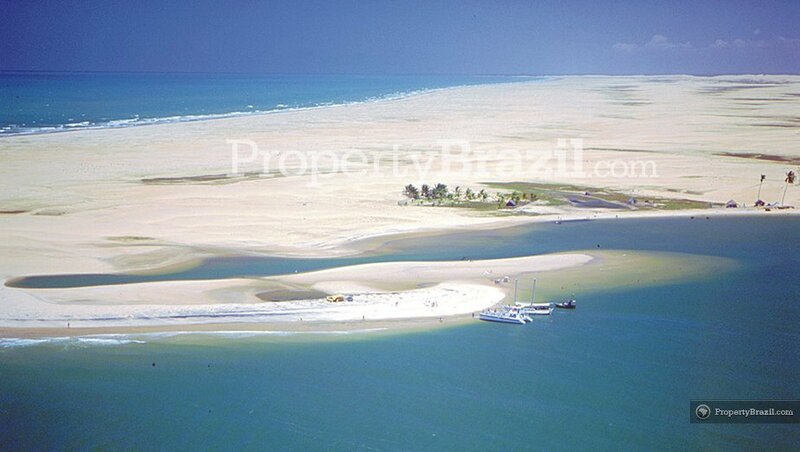 The coastline north of Maceió from Barra do Camaragibe to Japaratinga, is often referred to as the “Costa dos Corais” or “Coral Coast”. Here, the 40 beaches spread along the coastline are protected by the world’s second largest reef barrier that makes for some breathtaking natural pools with transparent waters. 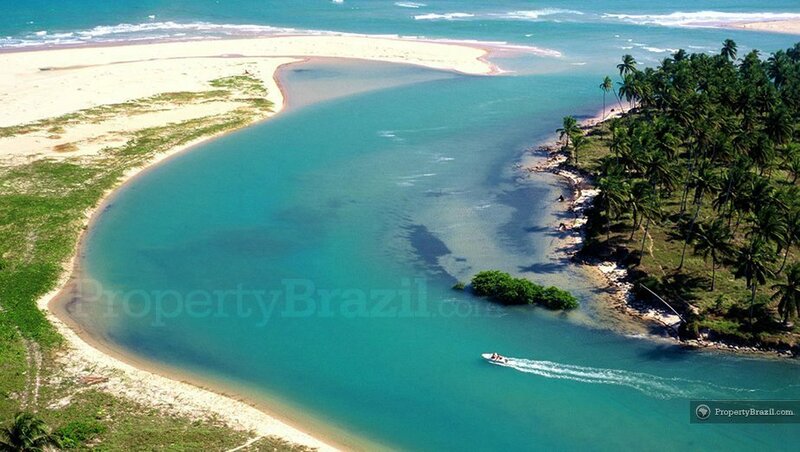 There are several small picturesque villages along the coastline such as Sāo Miguel dos Milages, Porto das Pedras and Japaratinga where tourists can stay over night and enjoy from the magnificent setting. Located approx. 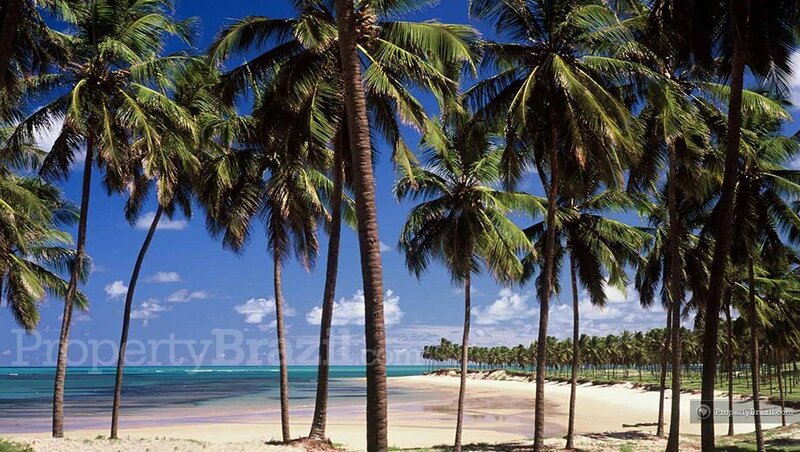 22 km from Maceió, Praia do Francês is a beautiful white sand beach popular among the population in the state capital. 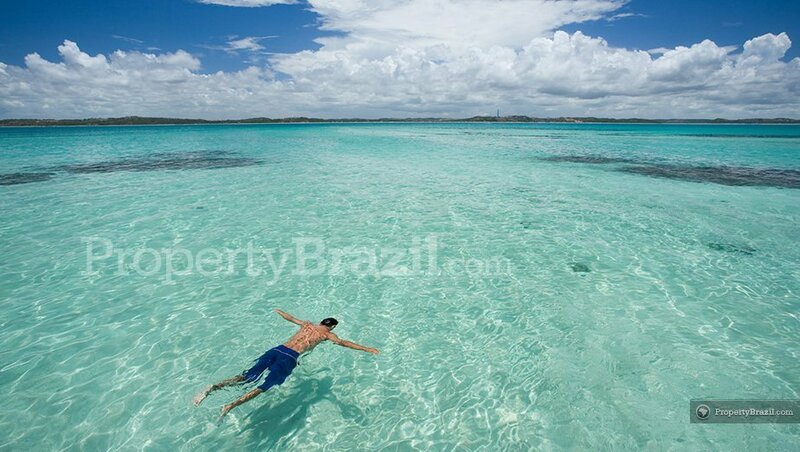 One part of the beach benefits from offshore reefs that make the water great for swimming or just relaxing in. 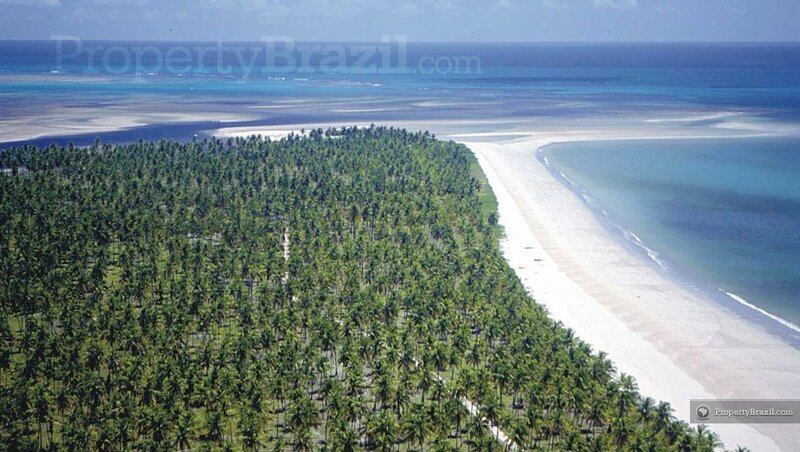 The other part without the reefs, offers some of the best surfing available in Alagoas. 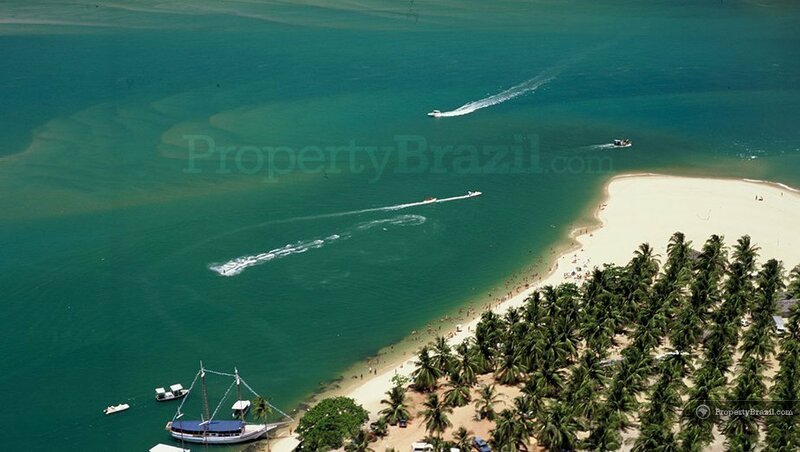 Barra de Sāo Miguel is a stunning beach protected by a big offshore reef, making it perfect for swimming or playing in the calm waters. 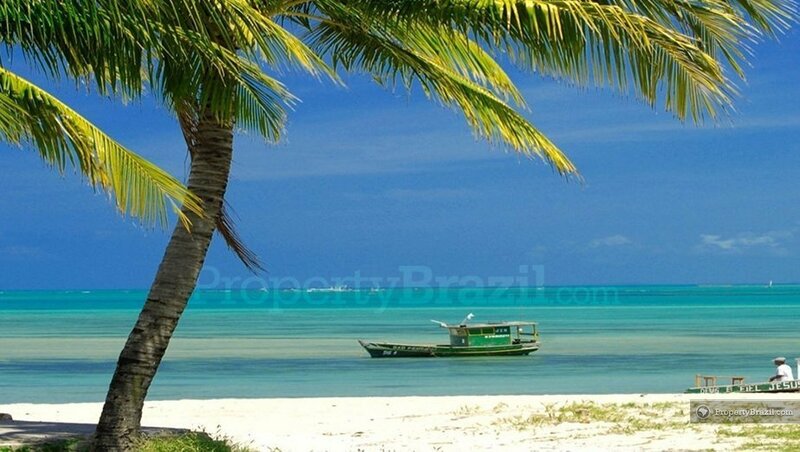 Praia do Gunga located close by, is one of the most famous beaches on the Alagoas coastline and is blessed by a spectacular setting where the sea meets the Sāo Miguel River. Located by the Sāo Fransisco River on the south coastline, Penedo is one of the oldest towns in Brazil and boasts magnificent historical buildings. Anyone interested in history and culture should definitely pay Penedo a visit. 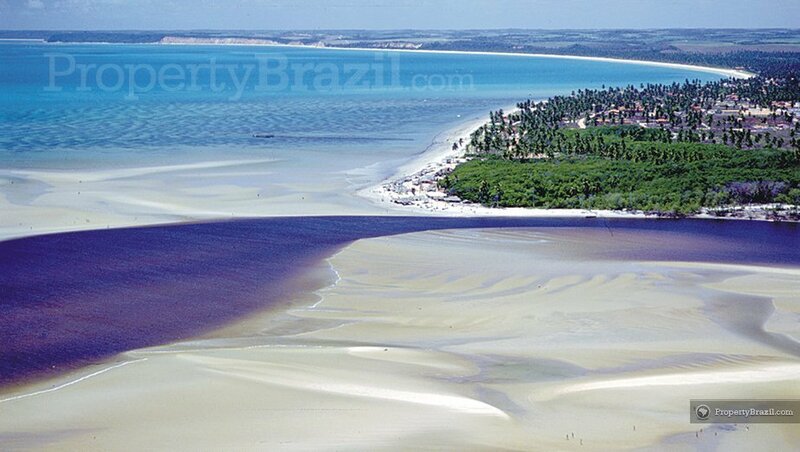 There are also many other great beaches in Alagoas including Carro Quebrado, Barra de Santo Antonio and Pontal de Coruripe. The international airport in Maceió, Zumbi Dos Palmares, receives several domestic flights from many Brazilian cities and every year an increasing number of international flights. Please visit the flight guide for more details. 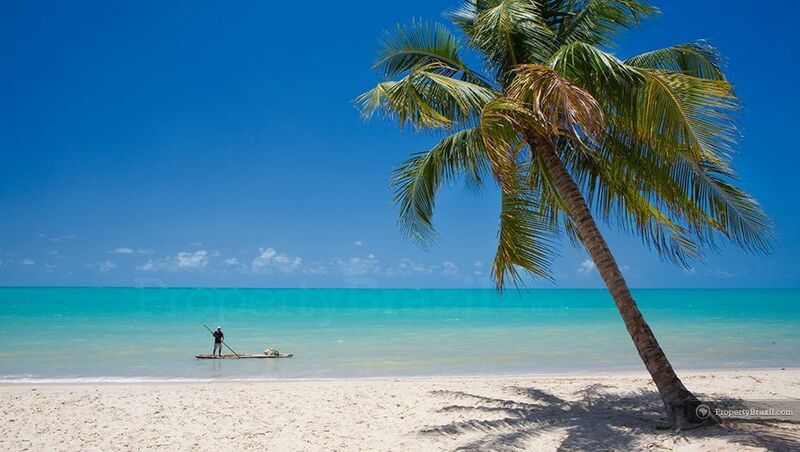 You can also learn more about Alagoas by asking questions in the forum or alternatively you can share your travel experiences with other forum members.